The Hall of Fame is dedicated to preserving the tradition of excellence manifested by specific individuals through the history of outstanding services provided to people who are blind or visually impaired in North America. Although housed at the American Printing House for the Blind (APH) in Louisville, Kentucky, it belongs to the entire field. The ceremony to induct Campbell and Koenig will take place on Friday evening, October 9, 2015, in conjunction with APH's 147th Annual Meeting of Ex Officio Trustees and Special Guests, at the Hyatt Regency Hotel in Louisville, Kentucky. Joining the fifty-four outstanding legends previously inducted, are these two remarkable figures who changed lives around the world. Their stories of accomplishment are powerful. Sir Francis Campbell’s service began as a music teacher and interim Superintendent of the Tennessee School for the Blind in 1850. 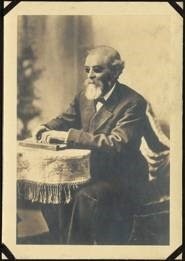 He then served as a music teacher and special assistant to Dr. Samuel Gridley Howe at the Perkins Schoolfor the Blind from 1857 to 1868. In 1872, he established the Royal NormalCollege and Academy of Music for the Blind (RNC) in London where he served as Principal until retirement in 1912. His school was built on the belief that blind people can accomplish great things with good instruction. He built a firm base of physical education and provided strong academic training with an emphasis on logic and mathematics as a basis for music instruction. Campbell’s school was enormously successful. Today it is known as the Royal National College and continues to receive awards for its status as an extremely effective school and training program for people who are blind. Dr. Koenig strongly influenced the way teachers of students with visual impairments (TVIs) viewed their roles and responsibilities related to literacy instruction. Alan was clear that TVIs are teaching reading and writing when they provide instruction to young children who will read braille or children with low vision who will read print. Koenig revolutionized the way that educational teams approach the decision regarding whether a student with low vision should begin reading and writing in braille, print, or a combination of braille and print. Prior to his landmark work on Learning Media Assessment (LMA), teachers and parents struggled with the decision of whether to teach a child braille or print. LMA provides a data-driven procedure that supports decisions of educational teams. For the first time, teachers and parents had a systematic guide for gathering pertinent information and using that information to support on-going educational decisions. Additional information regarding the 2015 Hall of Fame Induction Ceremony will soon appear on the APH website, www.aph.org. 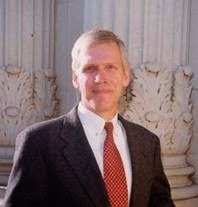 Visit the Hall of Fame website at http://www.aph.org/hall_fame/index.html for information on the Hall and those inducted. Questions? Please contact Janie Blome, Hall Curator, at 800/223-1839, ext. 367 or jblome@aph.org. Hall of Fame: Leaders and Legends of the Blindness Field is a project of the entire field of blindness, curated by the American Printing House for the Blind, a 501(c)(3) tax-exempt organization.